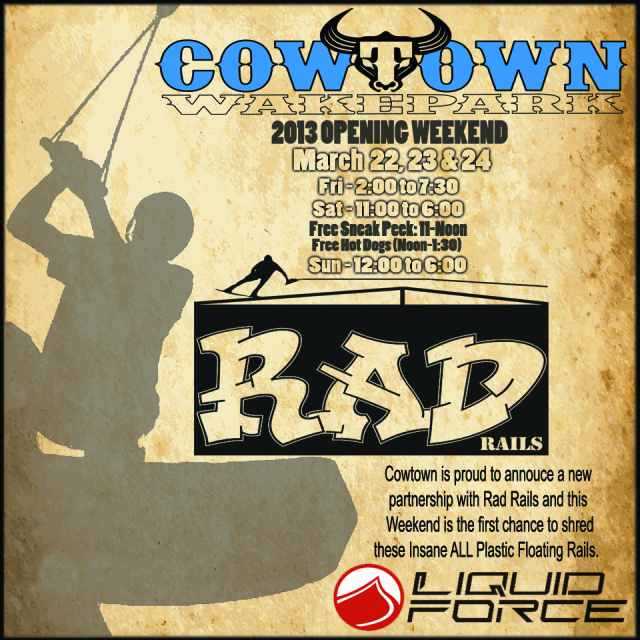 “Cowtown is Getting RAD this weekend!” Check it out for free!! Park featuring all new structures built by RAD Rails. We are also offering a $25 Early Bird Preview on Friday from 2:00PM – 7:30PM! Between sets, ask Tommy about the great spring saver rates on season passes. 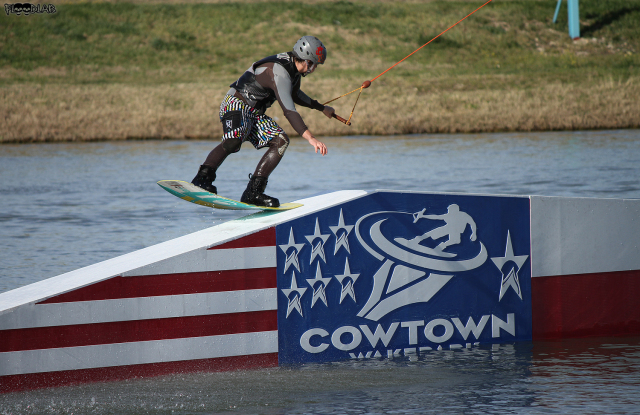 Start your summer now at the all new Cowtown Wake Park!